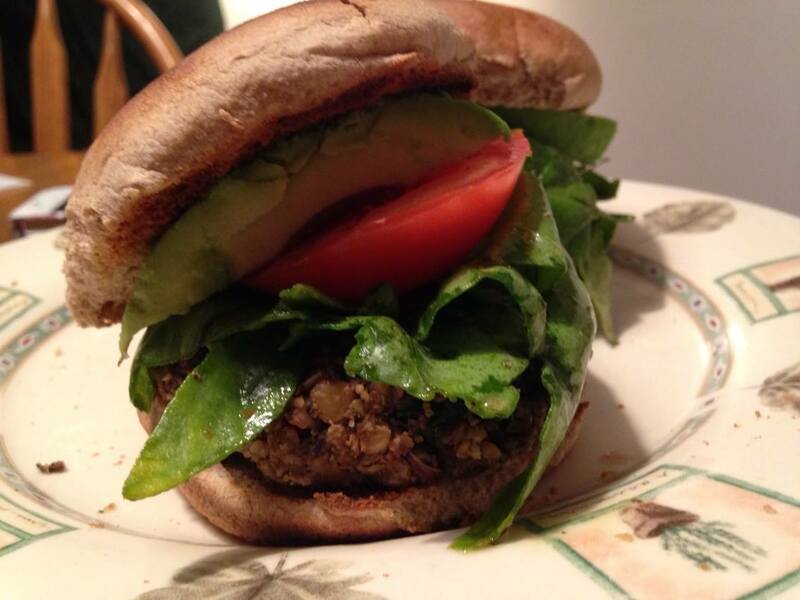 Vegetarian / Vegan (V) Burgers are a huge deal to me. I am extremely picky about burgers especially trying to cut the animal products out of my diet. Tofu (soy) I do not eat often and soy is often used as the main ingredient for (V) burgers. I am a researcher on a quest for healthy eating and nutrition. 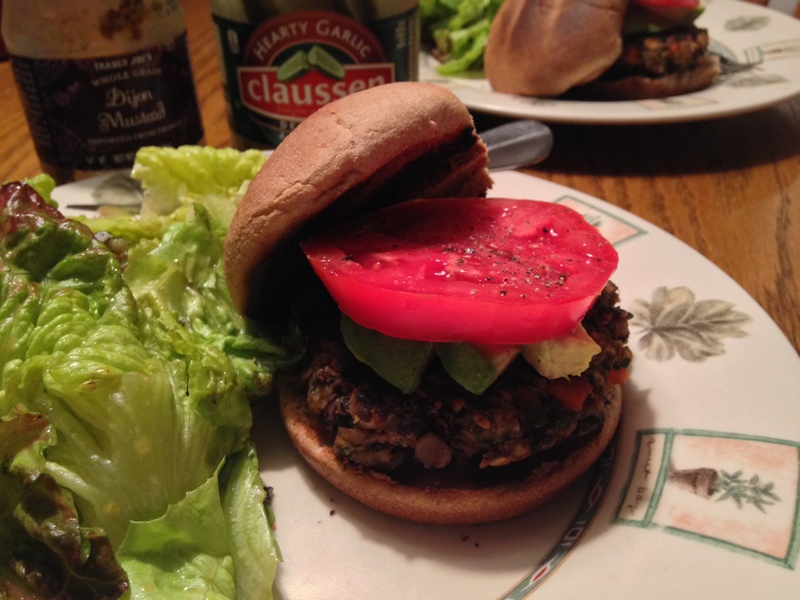 During my quest for (V) burgers I came across this recipe from a runner’s blog called scottjurek.com so I cannot take credit for this burger but I can praise this one to the moon and back. I modified the burger ingredients to suit my needs and taste. Enjoy! Use a food chopper to finely chop the food that requires a fine chop. This is a huge time saver. Combine the walnuts, oatmeal, flax seed meal, nutritional yeast, salt, pepper, and paprika in a large bowl and mix well. In a large pan sauté the shallots, garlic, mushrooms and spinach in olive oil for about 10 minutes, set aside. In another bowl, add the lentils, balsamic vinegar and mustard: mash with a potato masher or wooden spoon until a thick paste forms. Add the sautéed vegetables, oatmeal mixture to the lentils and mix well. Cool in the refrigerator for 30 minutes or more. With hands, form burger patties to the desired size and place on wax paper. Lightly fry in the large sauté pan the vegetables were cooked in. The burgers can be broiled or grilled. Cook the burgers until lightly crisp, approximately 5 minutes on each side. Serve with your favorite toppings like lightly seasoned olive oil and vinegar arugula, Bibb lettuce, or spinach along with tomato and avocado. Uncooked patties can be frozen between wax paper in plastic bags wrapped. This recipe makes about 10 nice size burgers.